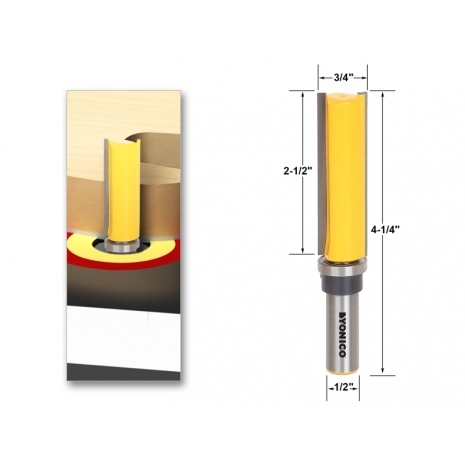 This router bit is great for combined plunge-cutting and pattern / template routing. Extra long cutter for multiple or extra-thick stock. 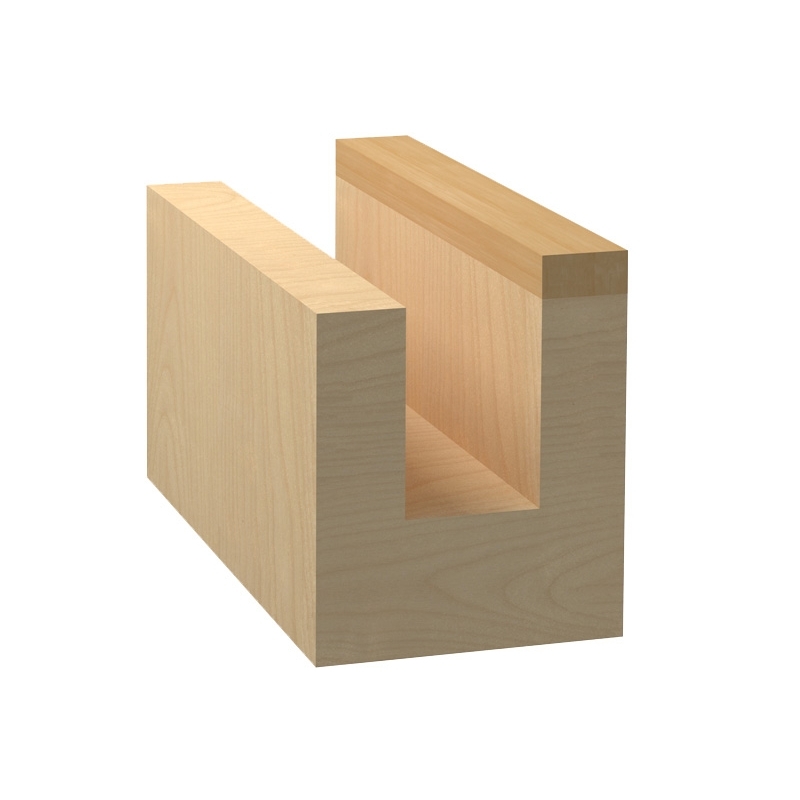 For increased work piece visibility, use the top bearing flush trim bit in a handheld router allowing the template to be positioned on top of the work piece. In a router table, template will be positioned underneath the work piece. 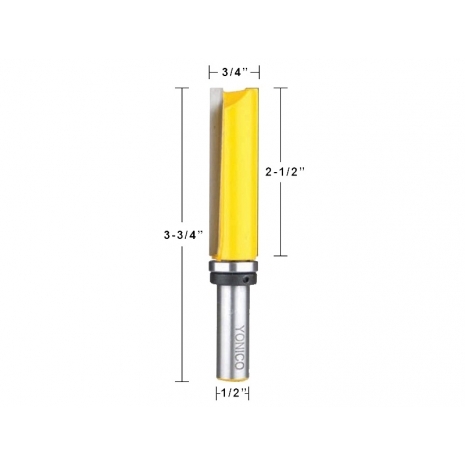 Can be used without the bearing as a standard straight bit. Two flute carbide cutters with enclosed ball bearing. 1/2" shank.